We are proud to announce the release of ELCIES Personalized Bot (known as robot -called Steffi)! 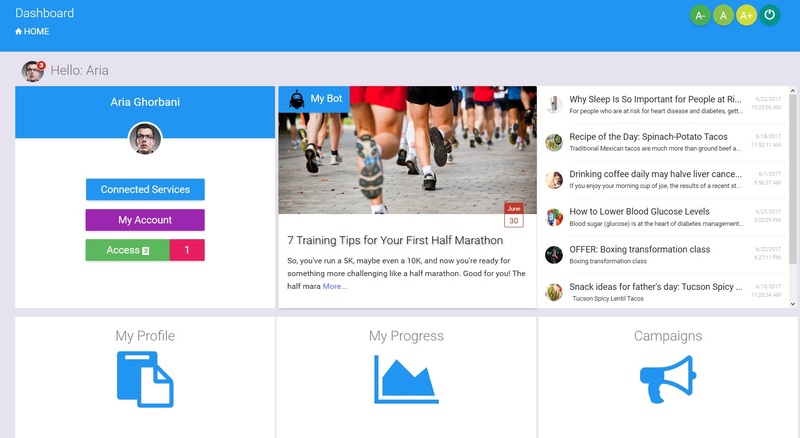 Steffi is an automated robot that provides you with a selection of relevant Offers, Advice, Tips, Training and keep you motivated based on your physical activity and health data. Finding the support you need! Now you have different ways of staying motivated. 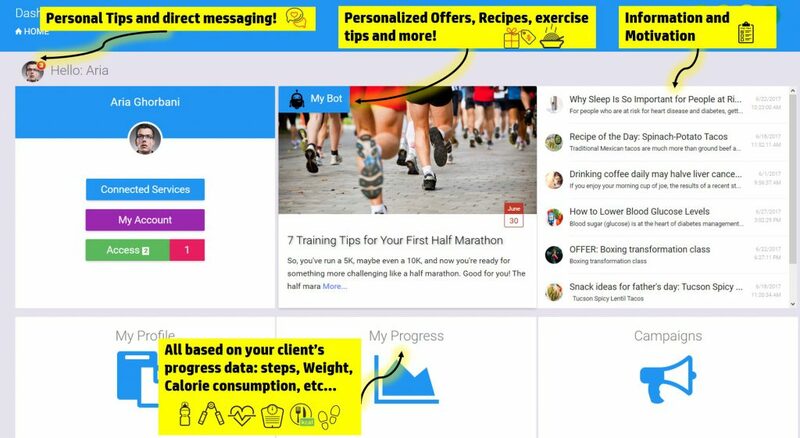 Every day, your own Personalized bot provides you with a mix of different tips, information and healthy recipe ideas to achieve your health goals, either at the gym, on your yoga mat, in your pantry, or in your grocery list. If you’re already taking action to be healthier and happier, that is a great start! It doesn’t matter if it’s baby steps or radical changes. Everyone has their own rhythm, and you have to embrace yours. The only thing that matters is that you are consistently moving towards what you want and “Reward Yourself”. Right from the beginning, we set some deliverables (your BMI or how many steps you take each day) which will justify getting rewarded. As soon as your activity data (Steps,Weight, BMI,…) show results and improvements, ELCIES will reward you in some way. Your Steffi Bot will help you to stay motivated by providing you with enjoyable offers, tips and surprises. For example, if you’re trying to reach a healthy weight, don’t slave over the numbers in the scale. As long as you’re actively improving your diet and moving more to feel better, the results will show up. Whether you’re skinny, short, chubby, tall, pear-shaped or apple-shaped, any improvement that you want for your body has to come from well-thought out plan instead of a wild shot in the dark! We want to make it fun for you! let us support you and encourage you to succeed on your journey.